A follow-up to my last post. I mentioned the situation of my son’s flag football team to a friend who’s a journalist. He offered to get in touch with a friend of his at DNAinfo.com, a site that specializes in local news. A couple of days later, a DNAinfo reporter phoned us, did a phone interview, and then, a couple of days after that, came to take a photo of my son and me. Here’s the article that resulted from that. The next evening, we got a call from a reporter at the New York Daily News, who had read the DNAinfo article. He spoke to me, my partner, and our son. The next day, this article came out. A couple of days after that, a friend emailed me telling me that Keith Olbermann had mentioned the issue on his program on ESPN (here it is). The upshot of all this was that the league changed the team name to the Bears (ironically, just that past week, Mike Ditka had come out defending Dan Snyder and the use of the team’s name). Not only were we thrilled that we wouldn’t have to cringe while cheering on our son, we were also delighted that we could use this as an example of protest actually having material effects. Then this morning, this arrived. It’s hard to overstate how moved I was by this. The letter was eloquent and beautifully written, acknowledging the importance of political protest even on the small scale of youth flag football. In many political movements, it’s difficult to see any immediate result. I was involved in the movement against apartheid in South Africa in the mid-1980s, but to be honest, I couldn’t imagine the end of white supremacy, the release of Nelson Mandela from prison, and his election as President shortly thereafter. Similarly, it took years of activism to change the cultural violence of AIDSphobia, not to mention the development of meaningful treatment. The recent dust-up over Steven Salaita’s de-hiring at the University of Illinois Urbana-Champaign has spurred a cascade of petitions, letters whose signatories have vowed not to engage with UIUC in any way. But we’re more than three weeks into this situation and all the UIUC administration has done is reaffirm and rationalize the original decision. Activism requires a fractious and fragile balance between hope and resignation, imagination and pragmatism. We must believe that, in the words of the organizers of the World Social Forum, “another world is possible.” But that world seems so far away, so difficult to attain, that we also have to face facts, recognize that the people who are most benefiting from our work more often than not are opposed to our tactics, that direct action does not usually immediately result in social change. 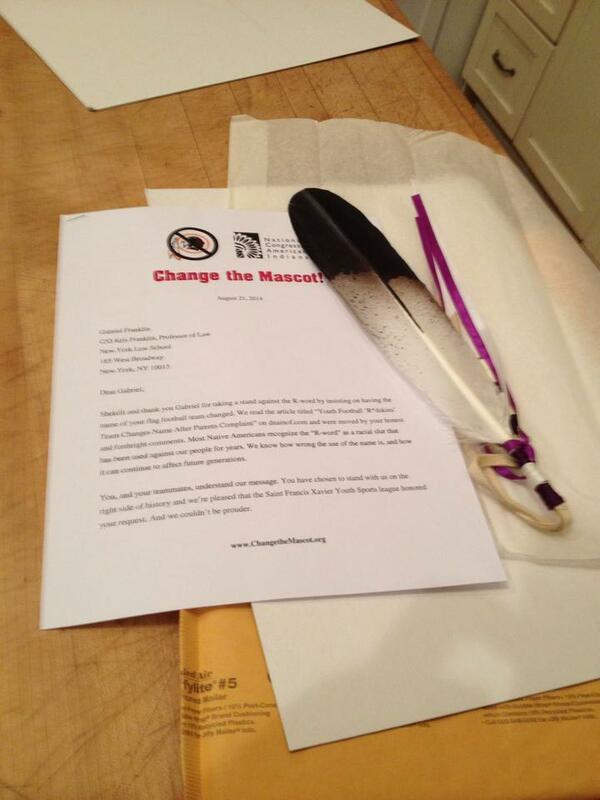 So, this letter from indigenous people welcoming my son into the community I’ve long been a part of, a community organized around the struggle for justice for all, feels momentous to me. It reinforces my instinct that more than coalitions (a buzzword of the late 1980s and early 1990s), we need alliances, collaborations, interactions. And that ultimately the arc of history can bend — slowly, slowly — towards justice.